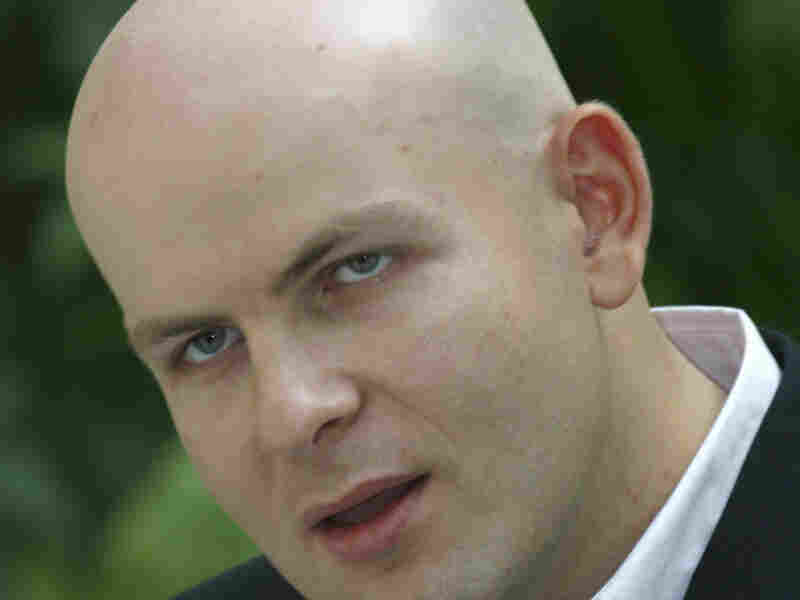 Pro-Russia Journalist Shot Dead In Ukraine : The Two-Way Oles Buzyna was gunned down in broad daylight in Kiev, one day after a former pro-Russia lawmaker was found dead there. The Ukrainian government is calling for a quick and transparent investigation. Oles Buzyna, a Ukrainian journalist seen here in 2012 who was known for his pro-Russia views, was gunned down in broad daylight in Kiev on Thursday. A senior Ukrainian journalist known for his pro-Russia stance has been shot dead in Kiev, one day after a former pro-Russia lawmaker was found dead in the Ukrainian capital. Oles Buzyna, 45, had recently resigned as editor-in-chief of the daily newspaper Sevodnya. Ukraine's interior ministry said in a statement that he was killed Thursday afternoon by two masked gunmen shooting from a passing car, according to The Associated Press. Buzyna was largely perceived as more of an activist than a journalist, the news service says. He ran for a seat in Ukraine's parliament on the Russian Bloc ticket but was not elected. His killing comes one day after Oleh Kalashnikov, a former member of parliament loyal to ousted Ukrainian leader Viktor Yanukovych was found dead with a gunshot wound at his home in Kiev. Police have not said whether they believe Kalashnikov was murdered or committed suicide. Ukrainian President Petro Poroshenko has ordered a "quick and transparent" investigation into the deaths of both Buzyna and Kalashnikov, according to the Kyiv Post. "Their nature and the political import are clear — this is a deliberate act, which plays into the hands of our enemies," Poroshenko's press service quoted him as saying in an online statement, according to Reuters. Russian President Vladimir Putin commented on the journalist's killing. During his annual televised call-in show, he referred specifically to Buzyna's death, saying it had been politically motivated. The AP reports that Anton Herashchenko, an adviser to Ukraine's interior minister, said in a Facebook post that the killings "could be" orchestrated by Russia in order to "destabilise the situation in Ukraine from within."